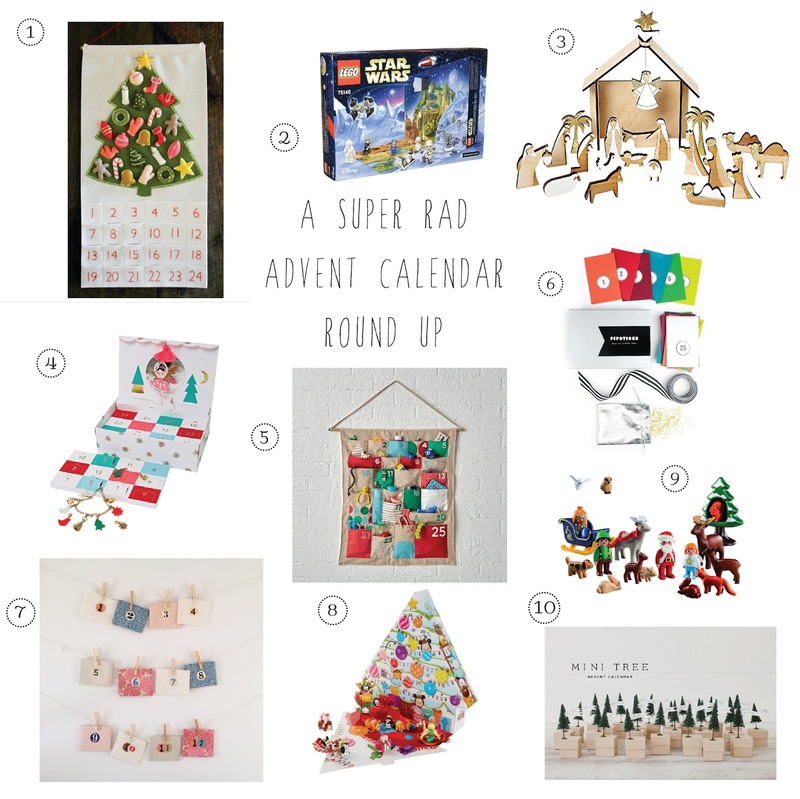 This is the end all and be all of homemade advent calendars, beadwork, embroidery and hand sewing are involved but Purl Soho makes it easier by providing all the materials and instructions for you in one beautifully curated kit. This is 'to make someday' list. Star Wars fans are legion, you never know when a grown man or woman will suit up in costume at their excitement of a newly released movie. I speak from experience. For all those lovers of all things Star Wars, be they big or small this is the advent choice. Star Wars + Legos; there's no going wrong there. We love all things Meri Meri, as evidenced by the inclusion of two of their advents on our list, but we couldn't resist the design of this sweet nativity. I'm thrilled to see my three year old watch this scene unfold as the month progresses. I couldn't leave my daughter out of the advent goodness, enter this DARLING charm bracelet advent. They are sold out many places but we found a stash still in stock. I seriously would take one in my size, the concept is genius. This one literally sold out online today, but you may still be able to find it if you are luck enough to have a brick and mortar store nearby. Or if you are super crafty, this could be a good one to DIY. This is another one of my favorites, Danielle Davis at This Picture Book Life has created a story activity advent. For twelve days you open envelopes to reveal parts of The Snow Queen story. What a fun way to captivate young readers, am I right? Head over to her blog for more details and a free printable to get your started. We didn't forget the Disney fans! This Tsum Tsum calendar was in my cart, but then my better judgement asked, how many advent calendars does one family need and practicality won out. Another one that works for all age ranges, young and old, friends, family & even teachers. Playmobil has some of the best toy advents around, select a theme, open the doors and start building your scene. The hardest part is going to be selecting which one to get, the details are amazing. I've been following Oh Happy Day for a long time and I love the whimsy she and her team put into their creations. Their advent calendars are no exception. This bottle brush tree advent is another one on my to try someday list. We like how you can fill these with toys, candy, family activities, or even service projects. Speaking of filling a calendar we LOVE LOVE LOVE the idea of combining fun with something more meaningful. This Random Acts of Christmas Kindness for Kids from Coffee Cups and Crayons is so wonderful, you could easily adapt this by cutting up the calendar slots and slipping them into many of these calendars we've highlighted.